Skydiving instructor Dave Cicciarelli discusses Chicago buildings where adrenaline junkies take the plunge. 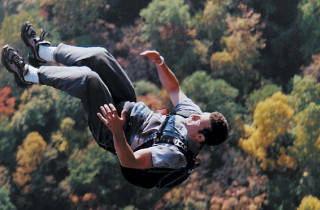 BASE jumper Dave Cicciarelli takes the plunge. The first rule of BASE jumping is never get caught; in most cases, parachuting off fixed objects—BASE stands for Building, Antennae, Span, Earth—is illegal. Adrenaline junkie Shaun Walters was apprehended in late April after leaping off the construction site of the 25-story Waterview Tower building in the Loop; he floated down onto Wacker Drive right next to a CPD squad car, which whisked him off to a jail cell. We talked to a BASE jumper who’s never made that kind of mistake: In two decades of BASE jumping escapades, Dave Cicciarelli is thankful he’s never had a run-in with the law. The skydiving instructor refuses to confirm or deny that any of his 400 plunges were off of Chicago skyscrapers, but the 44-year-old was willing to talk hypotheticals with us. 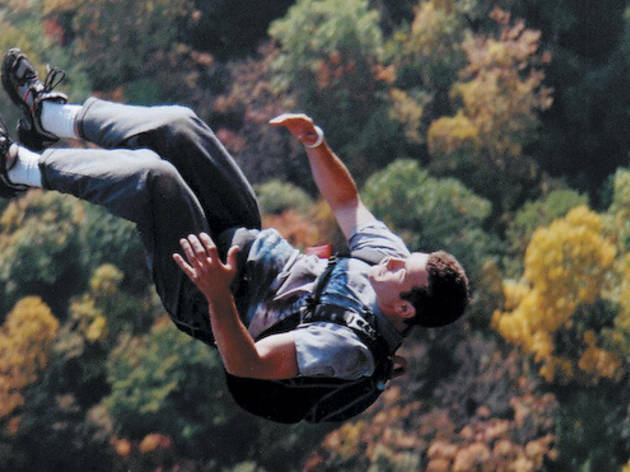 From a BASE jumper’s perspective, the only thing that Walters did wrong was get caught, right? First of all, he wasn’t experienced enough to be in that situation. The aftermath of it is that the code of BASE jumping is to not advertise what you’ve done. You try to keep whatever object you’re jumping open so everyone can continue jumping it. But part of BASE jumping’s appeal is that it’s usually done illegally. Um, it is part of the excitement, but most BASE jumpers would contest that. If they could do it during the daytime and it was legal, they would do it then, as opposed to sneaking around at night. Where have you BASE jumped in downtown Chicago? Well, okay, where have you heard are the best places to jump? What’s your dream BASE jump in Chicago? The Sears Tower, of course. When BASE jumping started becoming really popular, the guy that owned the building swore nobody would ever jump it. Now they have: They filmed [Transformers 3] and people were jumping off the building in wing suits!